These days, many people are looking for safe ways to earn a return on their money. One of the ways to do this is through the purchase of Series EE bonds. You can earn a set rate of return, and you can be reasonably sure that your money is kept safe. 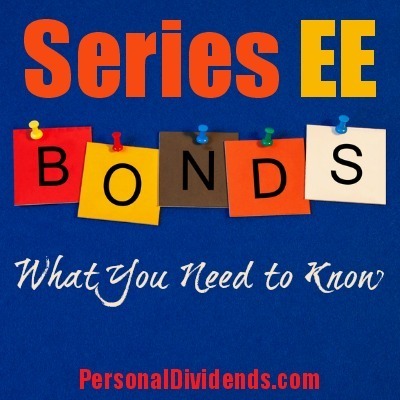 What are Series EE Bonds? Series EE saving bonds are products that offer a fixed rate of return. They are backed by the U.S. government. In fact, you can get them through TreasuryDirect, buying them from the Treasury Department. You can set up an account fairly easily, and begin buying Series EE bonds. These bonds pay a set rate throughout their maturity. As of this writing, the rate for a Series EE bonds is 0.10%. These earn interest for up to 30 years. Understand that there is a penalty if you redeem your savings bond before five years is up, and you have to own the bond for a minimum of one year. If you redeem your bond within five years, you will forfeit the three most recent months of interest (and, of course, you won’t earn any more interest on the bond). After five years, though, you can turn in a series EE savings bond with no penalty assessed. You can earn interest for up to 30 years. It’s fairly easy to set up an account with TreasuryDirect so that you can start buying these bonds. Once you have your account set up, you can buy as little as one bond for $25. It’s possible to buy bonds in various denominations, but you should know that you can only purchase up to $10,000 in Series EE savings bonds each calendar year. You can no longer buy paper bonds, though. You must have an account, and manage it electronically. It is possible to print out a certificate for gift purposes (these make great gifts for kids), but you can’t buy paper bonds. It’s also possible to buy savings bonds on the secondary market. However, you might not come out ahead because of paid premiums and other risks. you probably don’t have to worry about losing your initial investment with these savings bonds. It’s unlikely that the U.S. government will default on these bonds. However, there are risks associated with these bonds. The main risk is that of inflation. Right now, Series EE bonds are paying a very low yield. This means that you might not beat inflation when you buy these bonds. You could end up losing in real terms over time. While these bonds can be useful in some cases, the reality is that there are still risks associated. Remember that the safer an investment is, the lower your rate of return. If you are in the accumulation phase of your portfolio building efforts, Series EE bonds won’t be much help. However, if you want a safe place for your capital, these aren’t bad. And, if rates rise in five years, you can redeem your bonds and buy new bonds at better rates.